Elizabeth here today, showcasing the beautiful Spring Bouquet Ellie in summer colors. I love this sweet girl so much! Papers are from the Maja Design Coffee in the Arbour collection. Flowers by WOC and Kort og Godt. 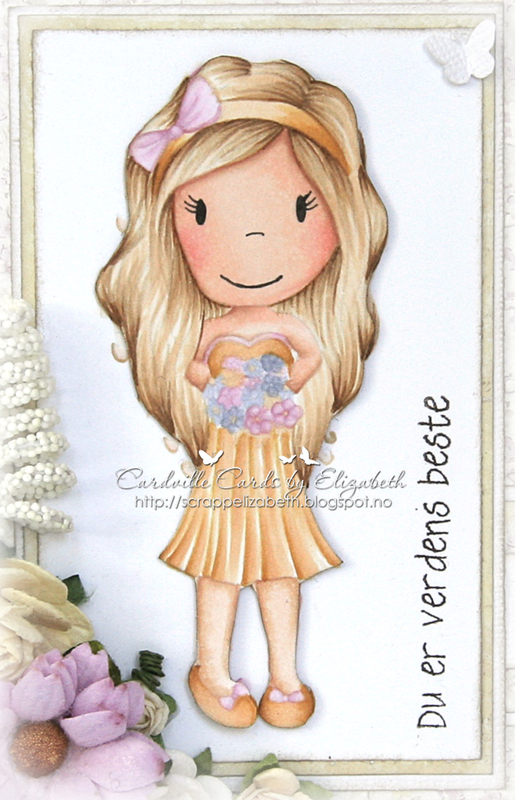 DIes by La La Land crafts, Sentiments by Norsk Stempelblad and Kort og Godt. I made this card as a thank you card for one of the teachers at my daughters school. I stamped the image, Spring Bouqet Ellie twice, and made a paper piercing with one of the images, using foam dots. Dress, shoes and hair band: YR24-21-20, E35, Y21. I used the nolines coloring technique. 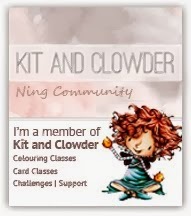 Here's a peak at the inside of the card too. Such a beautiful card, Elizabeth, with this cutie and the soft colors! A great choice! Who Wants Some Ice Cream?! !